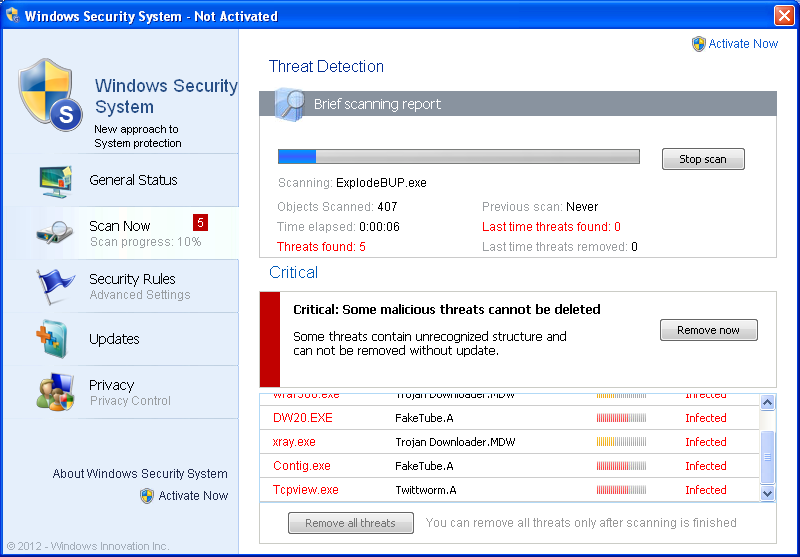 Today we saw a new rogue security application called Win 8 Security System being distributed. 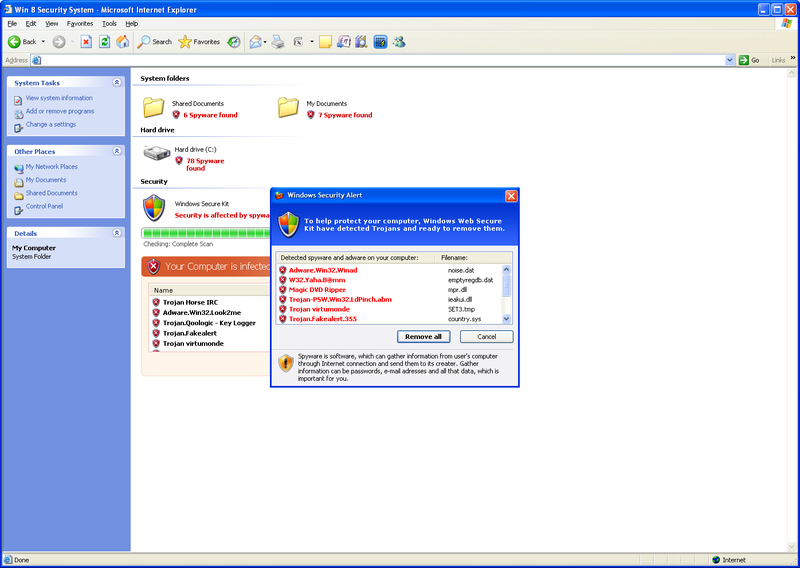 The latest rogue comes with a filter driver which protects the rogue security application's main file being knocked off from the memory. 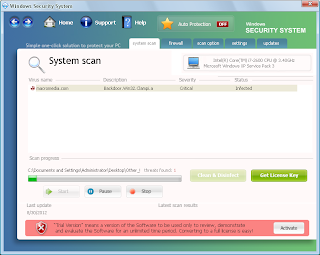 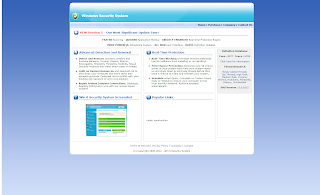 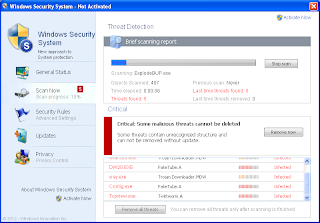 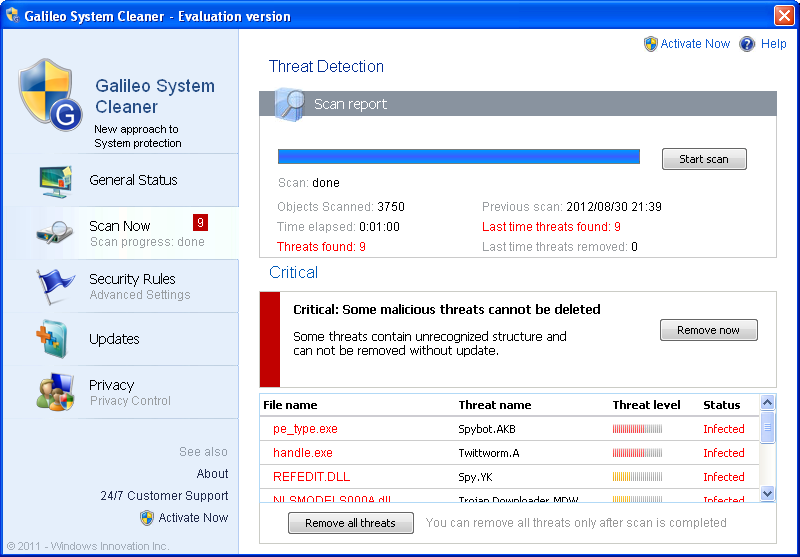 The web page of Win 8 Security System web is a complete rip of SUPERAntiSpyware web site. 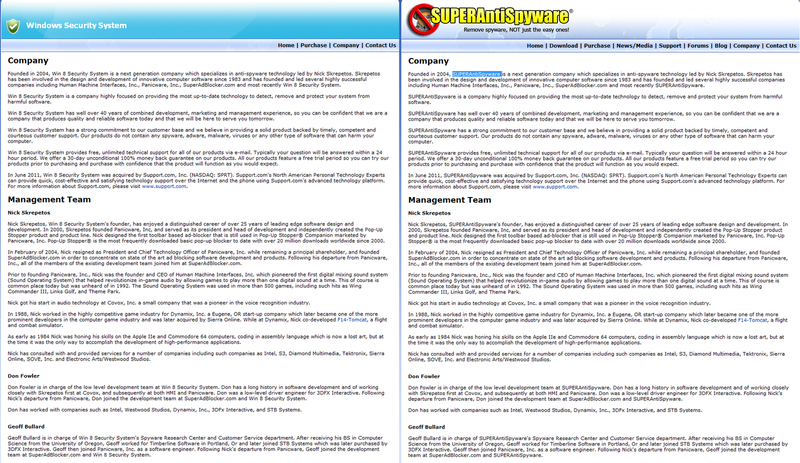 They even have the same management team. 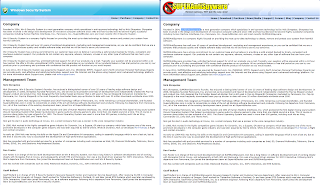 Stay away from these sites.